Erich Brechbühl — graphic designer. 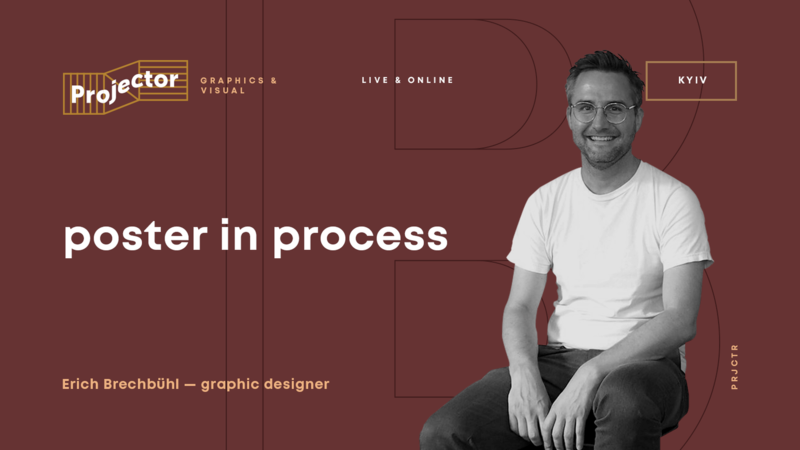 Founder his own graphic design studio «Mixer» in Lucerne. He's a member of the Alliance Graphique Internationale (AGI). He was a co-founder of the poster festival «Weltformat» in Lucerne and started the regular exchange meeting for graphic designers called «Show & Tell». Portfolio of the lecturer. Brechbühl's awards and honors include: Red Dot Award, Swiss Poster Award, Moscow Global Biennale of Graphic Design, 19th Biennial Colorado International Invitational Poster Exhibition and many others. In the first part, we will see different influences that were and still are important in my development. In the second part, we will see self-initiated projects, which are Erich's field of experimentation. In the third part, we will see the process of how Erich design a poster. By showing several examples, he will try to show different ways to come to a result. And in the fourth part, Erich will show some commercial projects in which he applied the knowledge of his experimentations. It will be interested: for everyone who into graphic design.